Do you wonder what you need to scrap digi-style? You’re not alone. A lot of people don’t understand exactly what digital scrapbooking is or how to do it. Have you posted a really cool layout on Facebook and someone asked how you did it. When you explain it’s digital many will cut and run. It’s even worse when they say, Oh, I like “real” scrapbooking. Really? You just told me how amazing my layout was but now it’s not because it’s digital? If you are unclear about what it is, how to do it, or what you need if you want to do it I will try to clear it up for you. Let’s start with the photos! Digital cameras and cell phones have taken us to a whole new level when it comes to the number of photos we all have. Now, in addition to boxes of loose photos, we have photos on our cameras, phones, laptops, tablets, desktop computers, external hard drives and in the cloud! We all have tons of photos. In the “old days” we took photos on film <gasp>, got them developed and printed. If we were really organized, we picked the best or our favorites and put them in a photo album. Less organized people put them in boxes or kept them in the envelopes they came in. Now we have 100’s 1000’s of photos that may never get printed. If our phone or computer dies they may be lost forever. Remember to backup! That’s good! Not losing the photos but that we have so many! Because the number one, first thing on the list of things you need for digital scrapping are photos, especially digital photos. You can still use the ones in your box but first, you’ll need to scan them onto your computer. What’s next? Photo Editing Software, a Computer, and A LOT of Memory! Well, technically that’s two things. Most of us already have computers but if you don’t you’re going to need one. Fortunately, computer memories have gotten very large and prices have come way down. I recommend getting the best one you can afford. The photo editing software I use and recommend is Adobe Photoshop Elements (PSE). I used many different programs before I arrived at PSE, so I can tell you it’s the best program for digital scrapbooking. It’s very powerful and affordable. Plus, you can still buy it outright. PSE’s big brother, Photoshop, has more bells and whistles but also has a big learning curve and requires a monthly subscription. 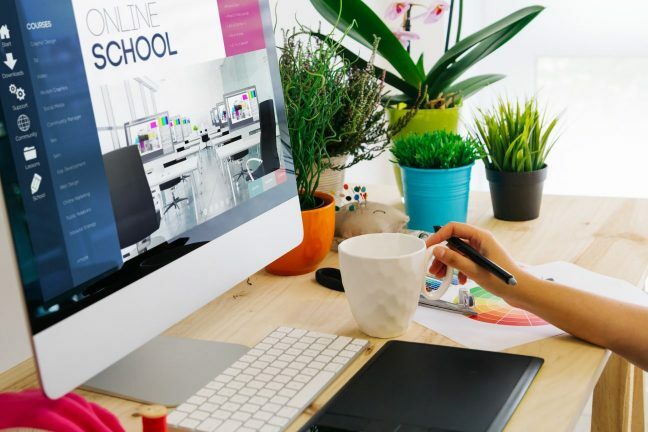 The Primer course is foundational and we provide this course to our students for free, unlike other schools that include this in their paid material. So before you attempt to do any scrapping please enroll now in the Primer Course. Have you ever looked at old photos of your parents or grandparents and wished you knew what life was like for them? 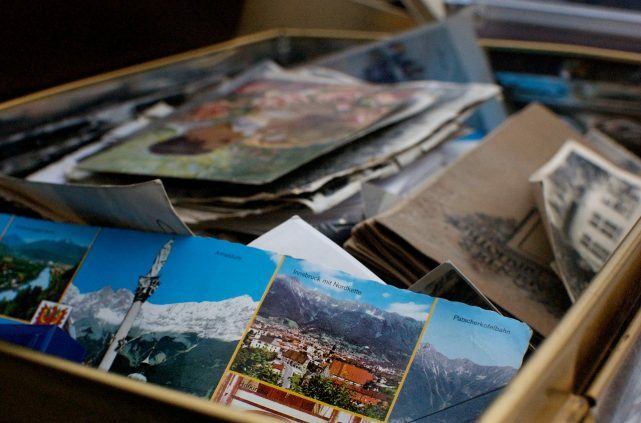 What about the boxes of photos with nothing written on them. I found a lot of those after my mother died. I also found photos of her when she was a teenager that I had never seen. It makes me sad. It makes me want to record our memories for my son and grandchildren because we think we’ll never forget these things but unfortunately, we do. We all have a story to tell. Are you telling your children and grandchildren your story? Are you documenting their stories? This is what scrapbooking, whether paper or digital, is all about. So you’ve got the photos, computer, software program and a story to tell. Now what? Putting it all together into a scrapbook! With digital scrapbooking, this all comes together on your computer. 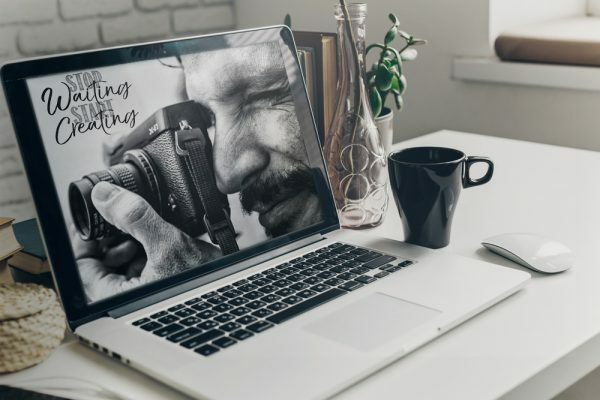 Photoshop Elements comes equipped with tons of graphics, textures, bevels, drop shadows, filters, and more that you can use to create some pretty incredible pages. However, there are also stores and designers that sell collections of products for digital scrapping. Some of the things they sell are created within a graphics program and made to look very realistic, some are extractions of real items such as flowers, string, jewels, leaves, well the list is endless! Sometimes paper scrappers that decide to try digital don’t realize the scope of the digital supplies that are available. One person, new to digital scrapping, recently lamented the loss of her beloved sequins and beads. She loved using them and thought she wouldn’t be able to anymore. I showed her a few screenshots from a digital store of sequins and beads that looked just like the ones she’d been using. Another thing to consider here is hybrid layouts. This is where you combine the two types of scrapping into a hybrid project. Digital supplies are actually one of my favorite things because once you’ve purchased a product you can use it over and over again. It never runs out. There is no limit on the number of times it can be used. Plus, if you change your mind and decide to use something else, it’s not wasted, it’s still there for use in another project. It’s the ultimate “green” product. I hope I’ve demystified digital scrapbooking somewhat. While the products are digital, you still use papers, textures, dimensional elements (with shadows), titles, journaling, building layer upon layer just like traditional scrapbooks. You then can share your digital layouts online or print them. 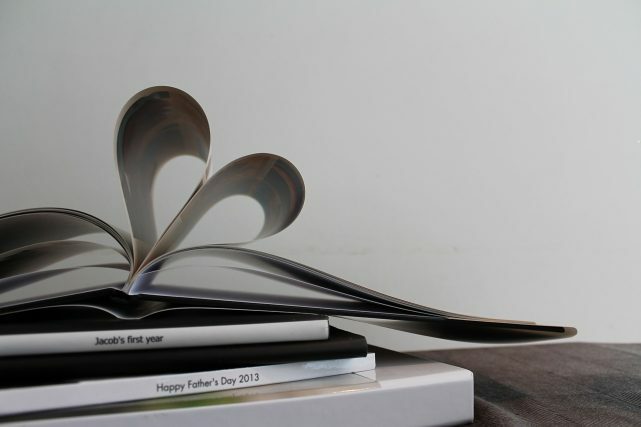 You can print books or individual pages you put into an album. The quality is amazing and the techniques are far superior to traditional. 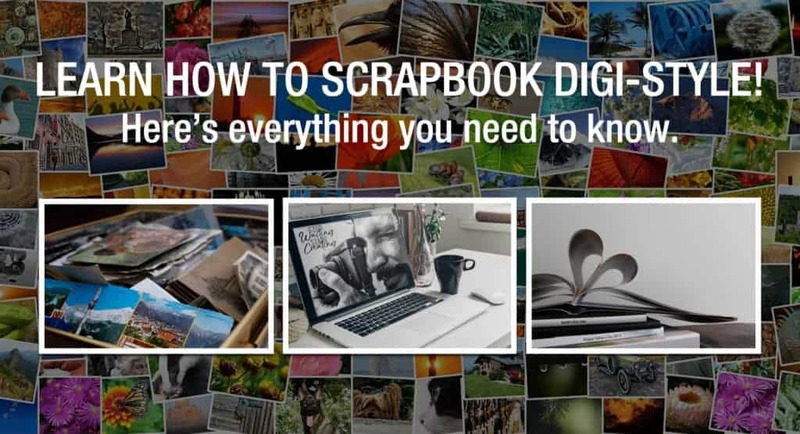 I have put together an online course that will teach you the basics of digital scrapbooking and more. It’s called The Basics and Beyond. This is the next step for you to learn how to scrapbook digi-style! Click here to enroll in The Basics and Beyond and start your journey. Believe me, once you’ve learned the basics the possibilities are endless from scrapbooking to creating amazing gifts and beautiful works of art!